Me.....well my plans are not as stressful. I plan on getting comfy, grabbing my coffee and start reading for ﻿the Thankfully Reading Weekend. 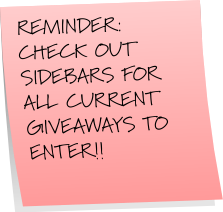 I plan on spending less time on the computer today, but when I need a break from reading I will be doing a little blog hopping. Whatever your plans are today, have fun!! I am sure you feel the same way, but I am still truly amazed at the how many nice people I have met this past year and the friendships that have formed. For those new followers, a little history. Last year around this time I stumbled onto a book blog, never knowing this world existed, and wanting to participate because it looked like so much fun with the challenges, memes, and even the sounds of friendship from the comments I would read. I got the courage to email a blogger to ask how do I start. Poor Vicki from Reading At The Beach, she was the lucky one lol. But she told me "don't be afraid to ask questions of any book bloggers, because book bloggers were the nicest bloggers in bloggyland". And how right she was. To this day, she still answers my questions. Well, history has repeated itself. Not too long ago I received the sweetest note from Joann at Joann's Best. Her email reminded me of the one I had sent Vicki. Yesterday morning I checked my email and this was waiting for me with these words "I made this just for you! 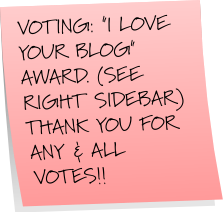 Its an award for your blog! Thanks for everything." I can't believe she took the time to do this for me!!! Isn't it beautiful!!! All because I answered some questions. Not only are book bloggers the nicest, they have the biggest hearts!!! Thank you so much Joann!!!! You don't know how much this means to me!!! And if you haven't been by Joann's place, please stop by, say hi, introduce yourself and welcome her into the community, the community as Vicki said, "the nicest there is". 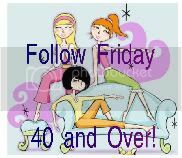 I love fellow bookworms and am your latest follower. 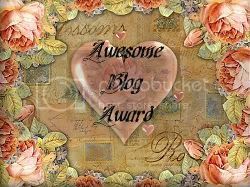 Congrats on the recent accolades too....looking through this blog I can see you deserved them well done.